Authors: Bianchini, A. 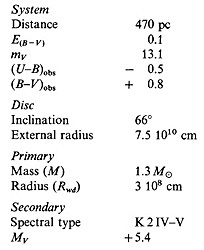 & Sabadin, F.
Journal: Astronomy and Astrophysics, vol. 125, no. 1, Aug. 1983, p. 112-116. After the spectacular classical nova outburst in 1901, GK Per (Nova Persei 1901) began to display characteristics of a dwarf nova type cataclysmic variable around 1966. 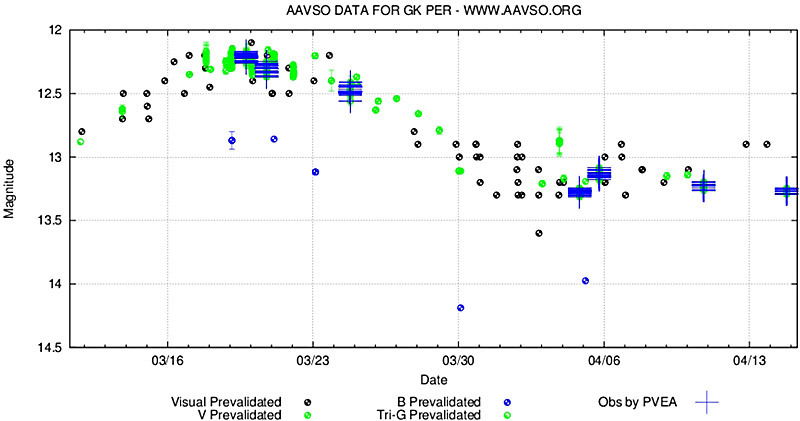 It was put on the regular AAVSO observing program in the late 1920s, and at that time until about 1966, it fluctuated irregularly between magnitudes 12.5 and 13.5, with a few rises to about 12th magnitude. But this quiet period would not last forever, and in the middle of August 1966, Nova Persei brightened to 11th magnitude. 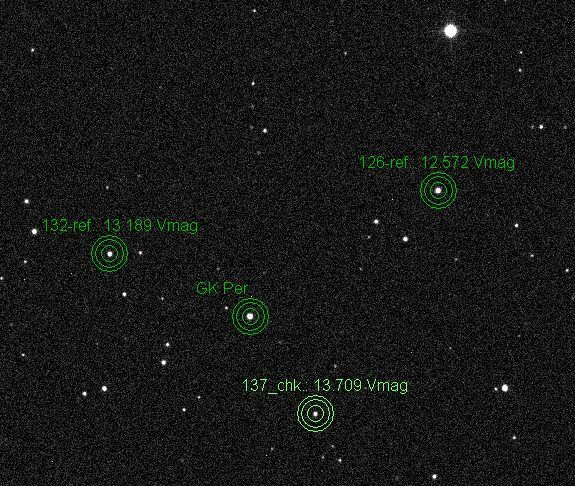 From 1966 to the present, Nova Persei (now more commonly called GK Per) has exhibited dwarf nova-like outbursts of about 3 magnitudes every 3 years. Around 1980, the discovery of X-rays coming from this system would allow scientists to more specifically classify GK Per as a magnetic cataclysmic variable. Once GK Per's magnetic nature was discovered, it was classified based on the strength of the white dwarf's magnetic field into the cataclysmic variable subtype, intermediate polar or DQ Her star. These stars have magnetic field strengths approximately 1-10 x 106 gauss. For perspective, the Earth's magnetic field strength is about 1 gauss. In intermediate polars, the accretion disk is disrupted at small radii by the white dwarf magnetosphere. The accreting material then leaves the disk and follows the magnetic field lines down to the white dwarf surface in the vicinity of the magnetic poles. As the accreting material rains down onto the white dwarf surface, it passes through a strong shock where its free-fall kinetic energy is converted into thermal energy. The shock temperature is about 108K (10keV), so the post-shock plasma is a strong source of hard X-rays. These X-rays, when detected, provide information about the white dwarf's magnetic field.